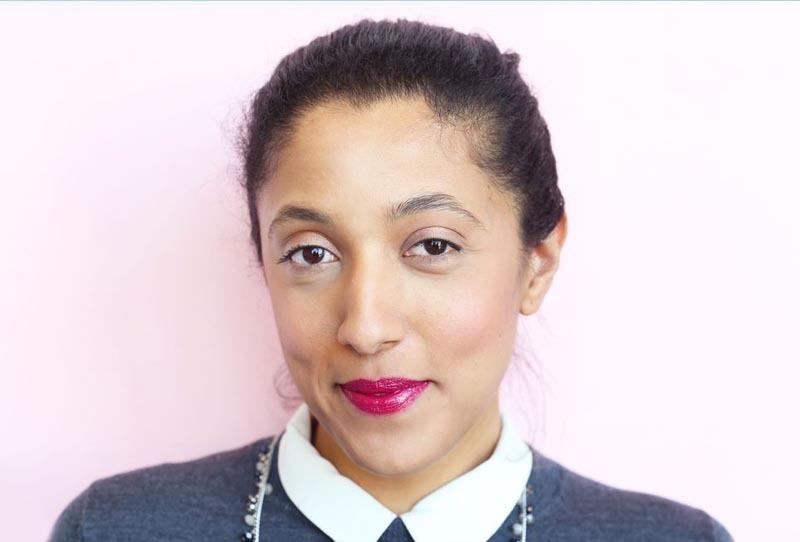 What better time to try a dark berry lip than February 14? Regardless of what you're planning to do for Valentine's Day, one of the most fun things about this sweet holiday is undoubtedly getting ready — and eating all the chocolate you can get your hands on, of course. 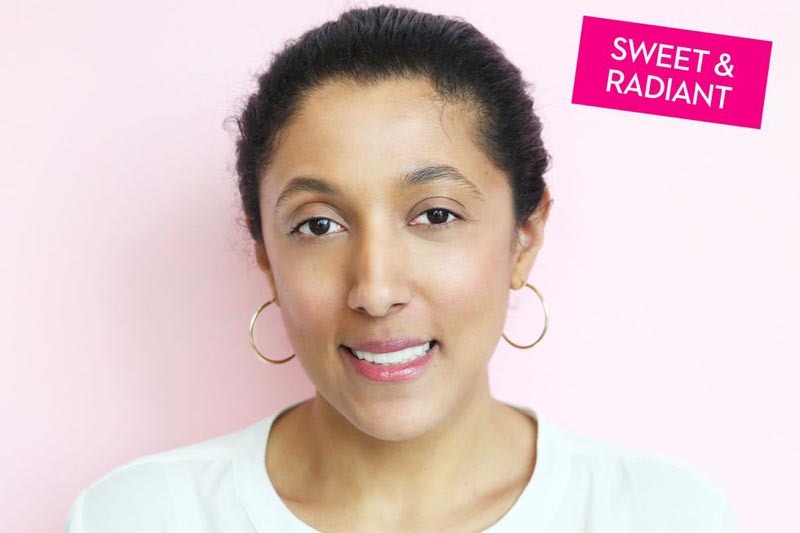 YouTube Marie Jay has her own go-to Valentine's Day beauty routine that takes less than six minutes. 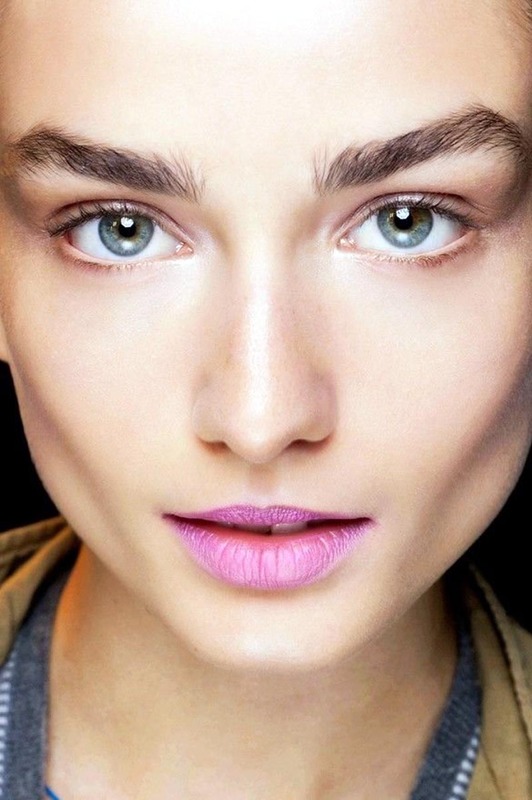 This look focuses on your complexion as the primary feature, so a glow is key. 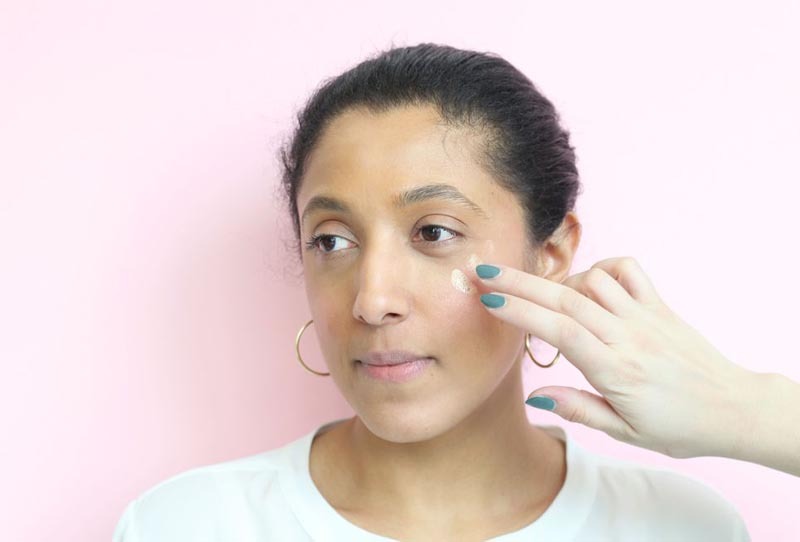 Start with clean, moisturized skin, and consider using a primer that blurs the look of large pores, like No7 Airbrush Away Pore Minimising Primer ($20, target.com). 1. Dust on a peachy pink blush. 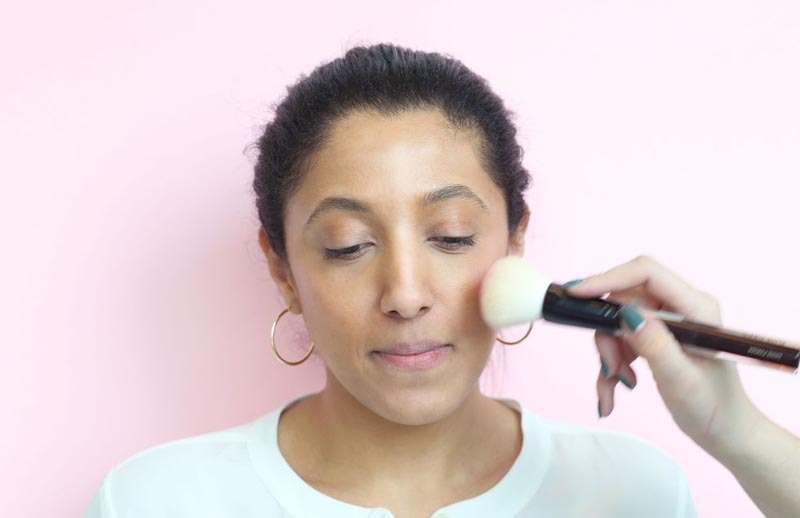 Using a fluffy brush, apply a peachy pink blush to warm up your skin tone. We used Too Faced Love Flush Long-Lasting 16-Hour Blush in I Will Always Love You ($26, nordstrom.com). 2. Highlight that bone structure. 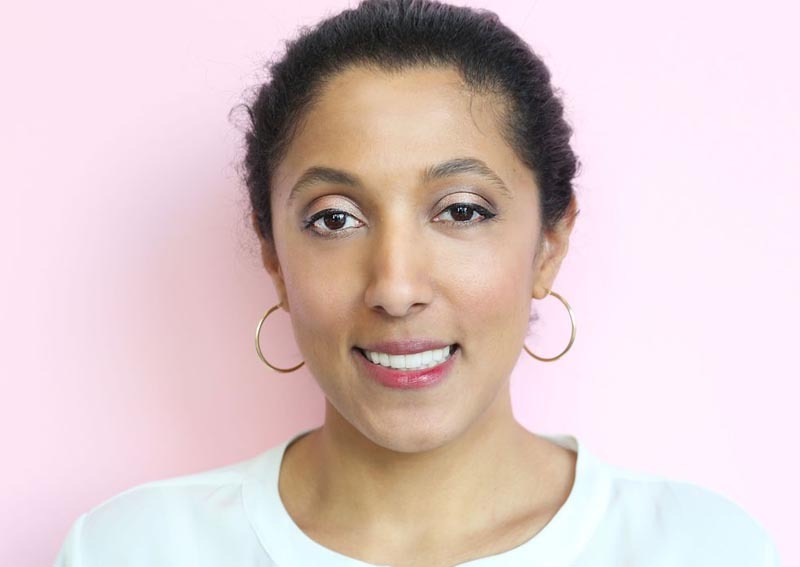 Dot highlighter on the top of your cheekbones, under your brow bone, and in the center of your bottom lip for added fullness. We used Kevyn Aucoin The Celestial Skin Liquid Lighting Highlighter (sephora.com). 3. Get a glossy pout. 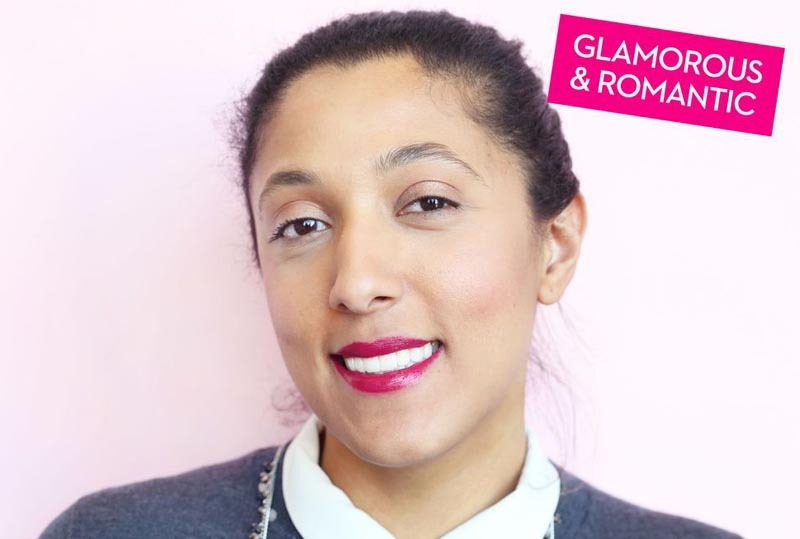 Add a glossy pink shade to your lips for moisture and shine. 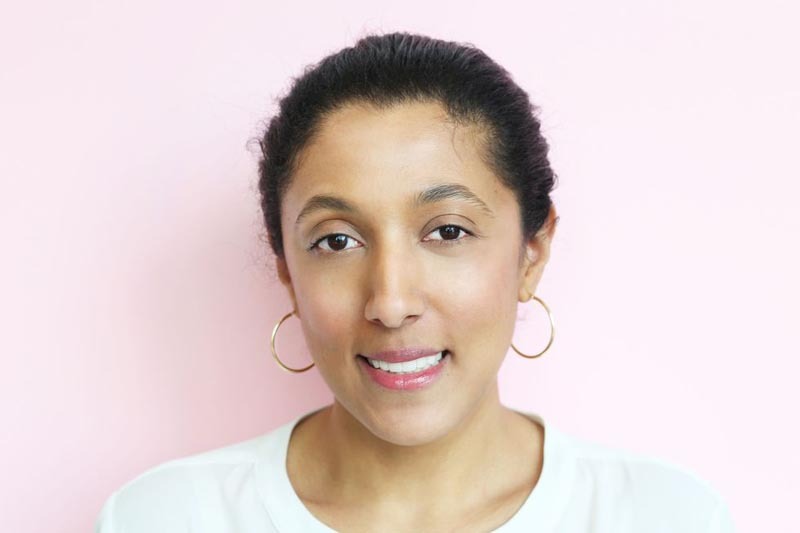 We used IPKN Twinkle Lips in Glow Pink (birchbox.com). 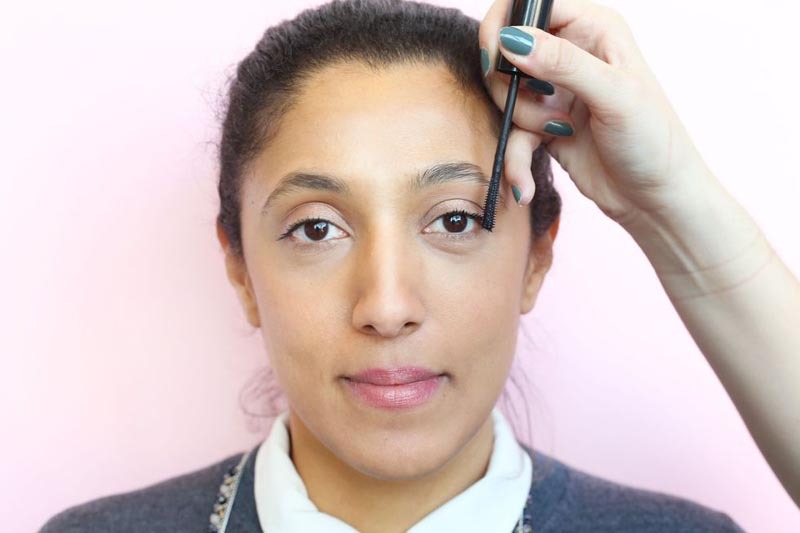 Add two coats of black mascara to your upper lashes, wiggling the brush at the base for a boost of volume. 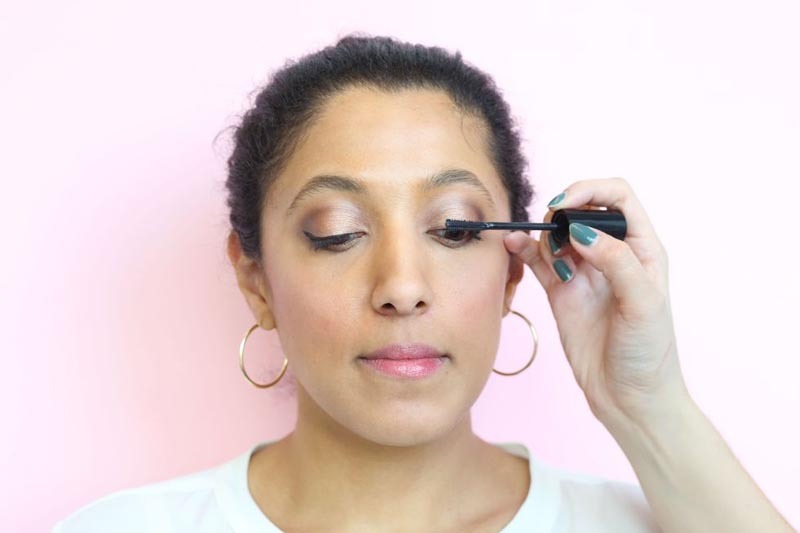 We used CoverGirl Super Sizer Mascara in Very Black (amazon.com). Since this is a simple look, it works with just about anything you want to wear. 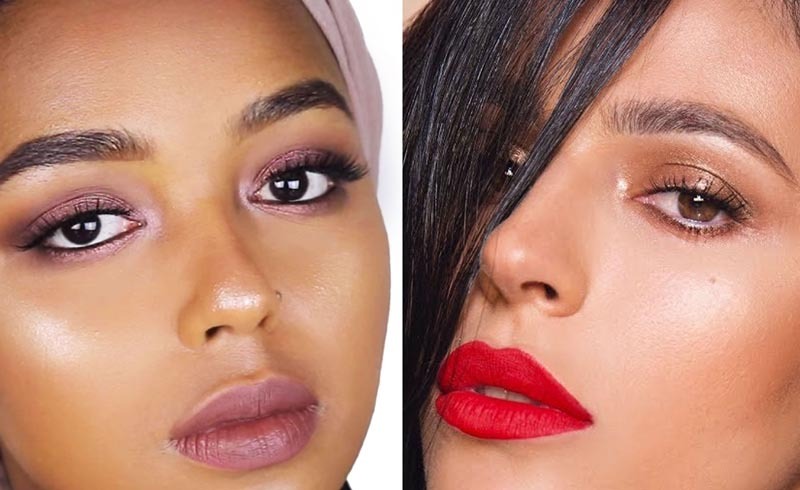 Glowing skin and makeup — what more could you want? Who doesn't love a dark lip on V-Day? But instead of going for a typical red, try a bold berry instead. 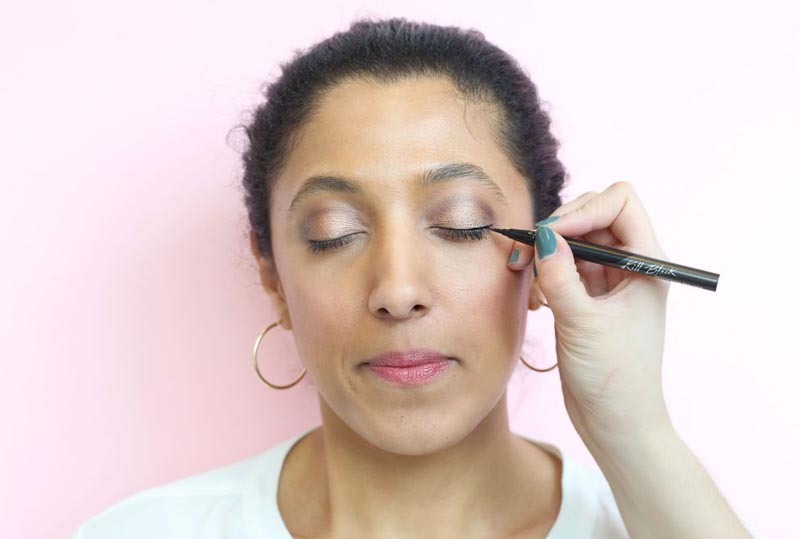 Coat your upper lashes with black mascara from roots to tips — we used CoverGirl Super Sizer Mascara in Very Black ($6, amazon.com) — then hold the brush vertically and add a little more to your outer lashes. This will give them an extra long and flared look. 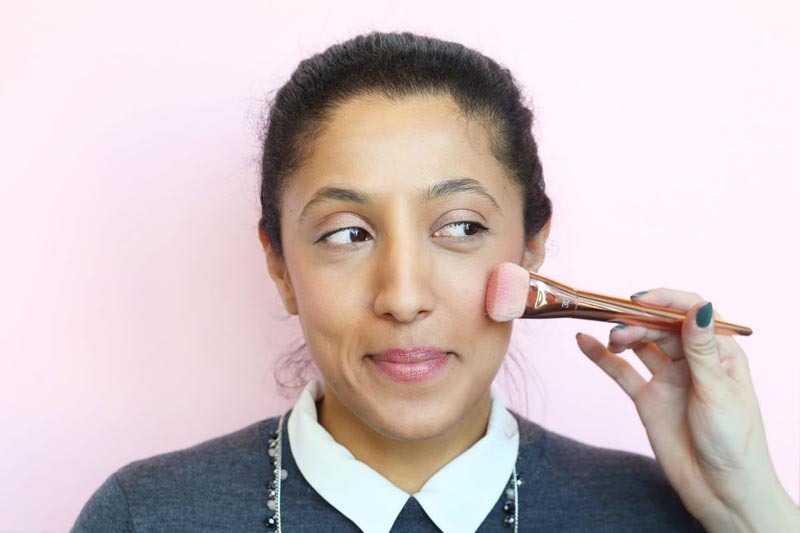 Add color to your cheeks using a little pink blush. We used Too Faced Love Flush Long-Lasting 16-Hour Blush in I Will Always Love You (nordstrom.com). 3. Emphasize your smooth lips with a bold color. 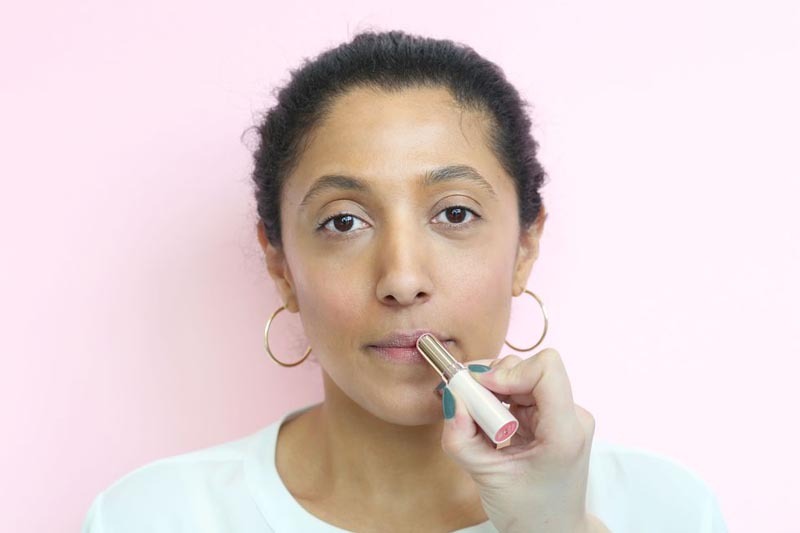 Soften chapped lips with a gentle lip scrub like Sara Happ The Lip Scrub (nordstrom.com), then paint on a fuchsia lipstick using a lip brush for precision. We used Obsessive Compulsive Cosmetics Lip Tar in Strumpet (birchbox.com). Equally perfect for date night or for going out with friends, you can put on your boldest outfit and enjoy the confidence that comes from this bright-lipped look. This final look combines the sexiness of a smokey eye with the radiance of look #1, so if you like emphasizing your eyes (the better to gaze with, my dear! ), try this. 1. Apply the base color. 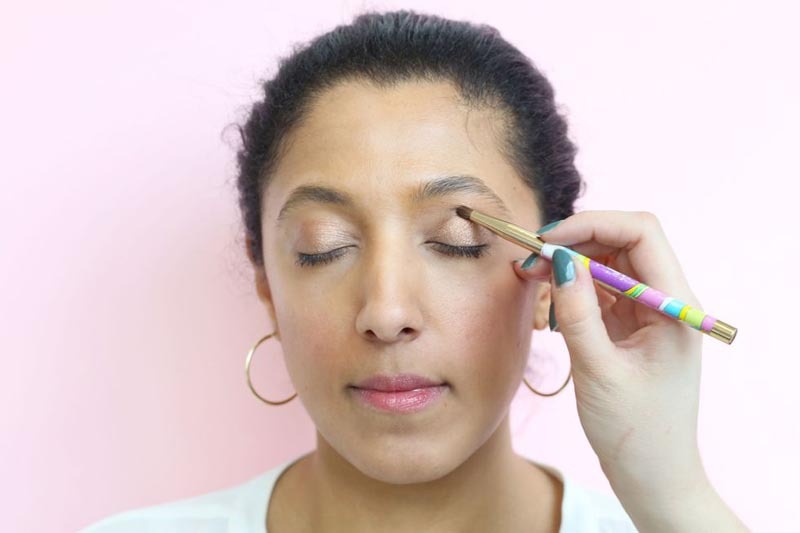 Apply a yummy, shimmery caramel shade to your lids using an eyeshadow brush. We used Too Faced Eyeshadow in Molasses Chip from the Chocolate Bon Bons Palette (toofaced.com). 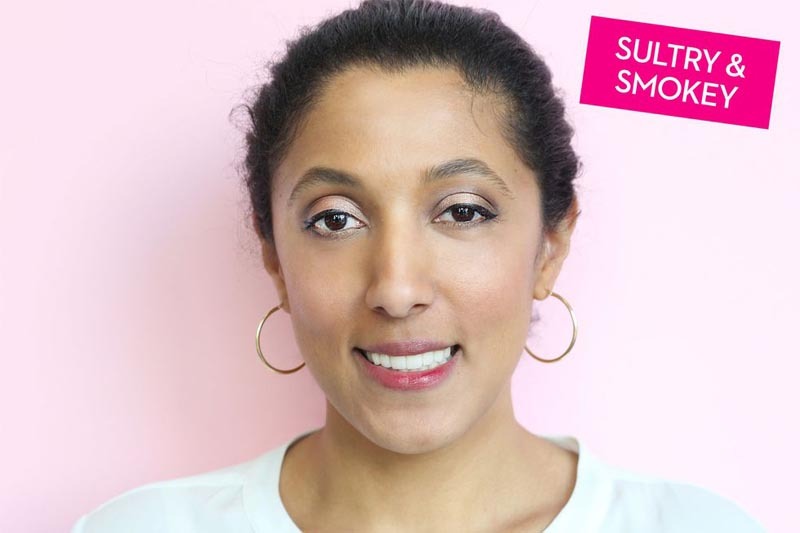 Blend a deep chocolate shade into the crease to add smokiness. We used Too Faced Eyeshadow in Dark Truffle from the Chocolate Bon Bons Palette (toofaced.com). 3. Draw on a cat eye. 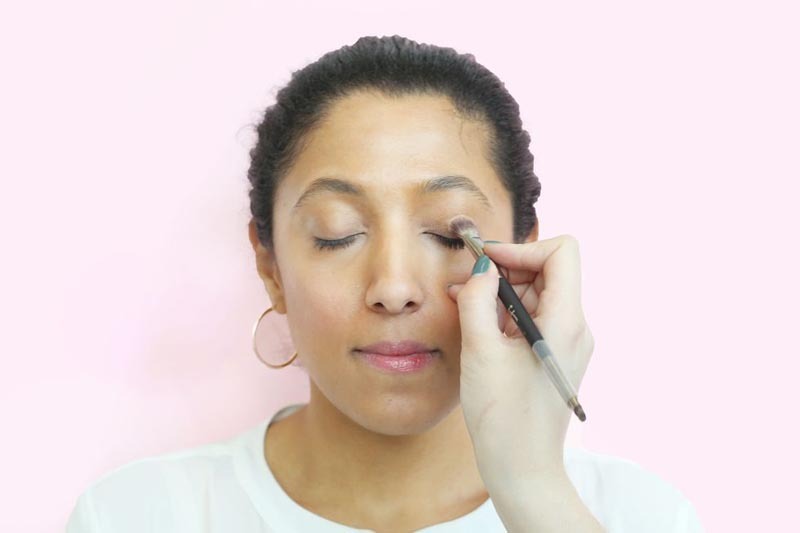 Using black liquid liner, draw a thin line across the upper lid, then flick it out into a delicate cat eye. We used Clio Waterproof Pen Liner in Black (amazon.com). 4. Smoke out the bottom. Smudge black pencil liner along the bottom lash line. We used Kevyn Aucoin The Precision Eye Definer in Stealth (neimanmarcus.com). 5. 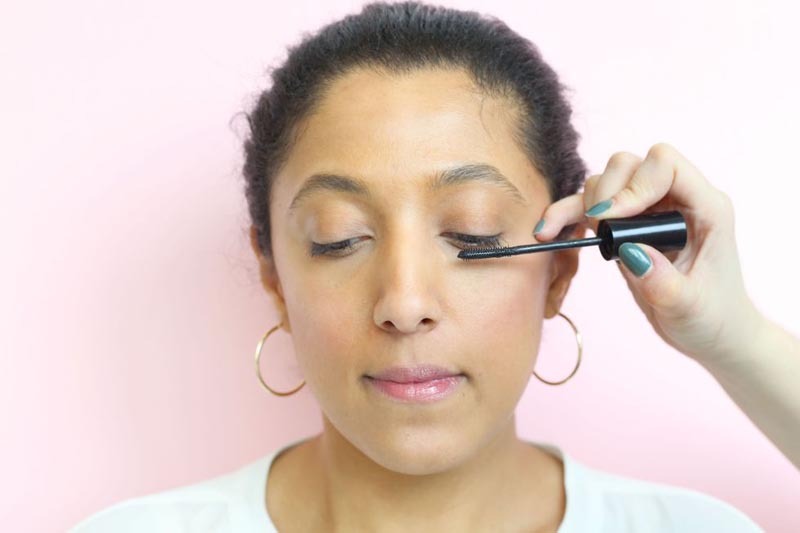 Lengthen and thicken your lashes. 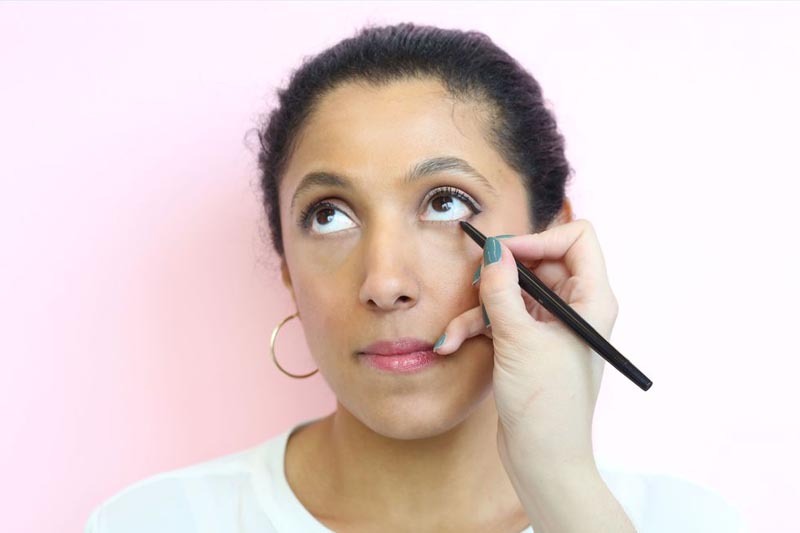 Swipe two coats of black mascara onto your upper lashes and a single coat on the lower ones. We used CoverGirl Super Sizer Mascara in Very Black (amazon.com). 6. Go translucent and glossy on you lips. 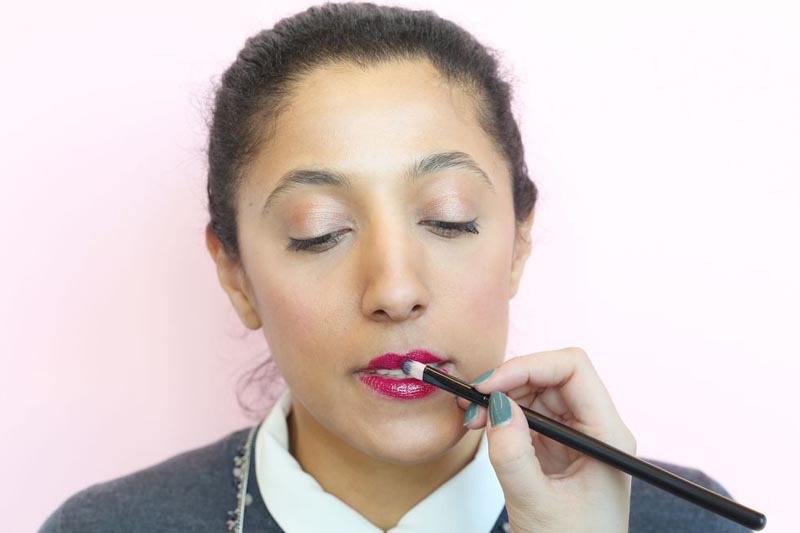 Add a sheer berry lip tint to complete the look. 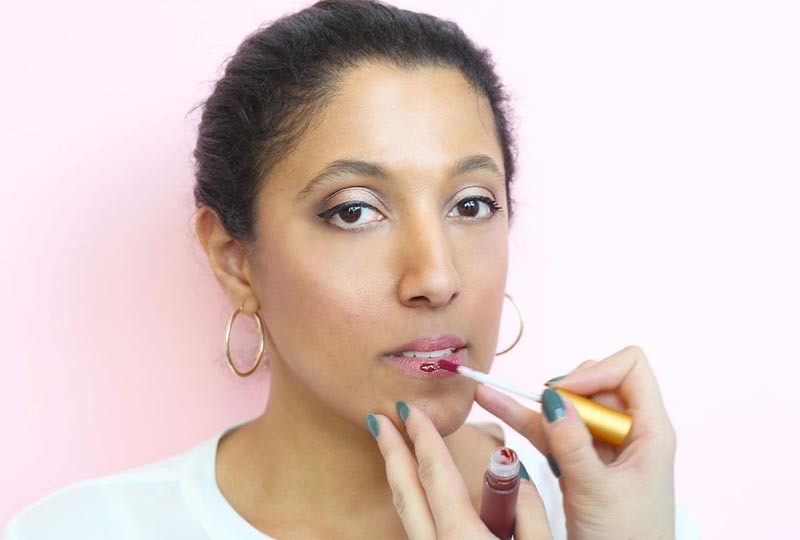 We used Lipstick Queen Saint & Sinner Lip Tint in Wine ($6, lipstickqueen.com). Once you're done, pop on your favorite heels and a pair of hoops with a chic, monochromatic outfit. Now you're totally ready to go out for swanky cocktails, late night dancing, and anything else the night has in store.